Towel with a totally fun twist -- a hood in the shape of a frog's head. winter. Great for owners who like pet costumes. The Frog Hooded Pet Towel is appropriate for both boy and girl dogs. It is machine washable and made in the U.S. A. It measures 30 inches square and fits most dogs. 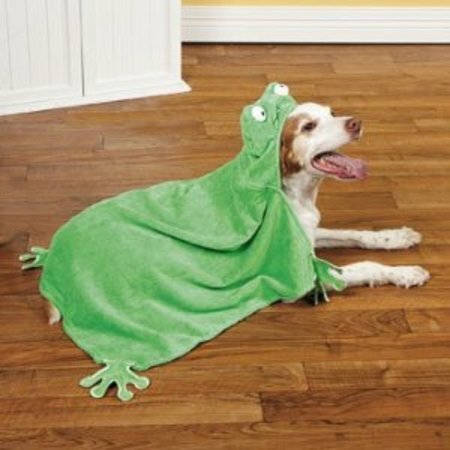 For more information about the Frog Hooded Pet Towel or to order, click here. Keep Your Puppies Stylish: The Top Three Styles For 2014!